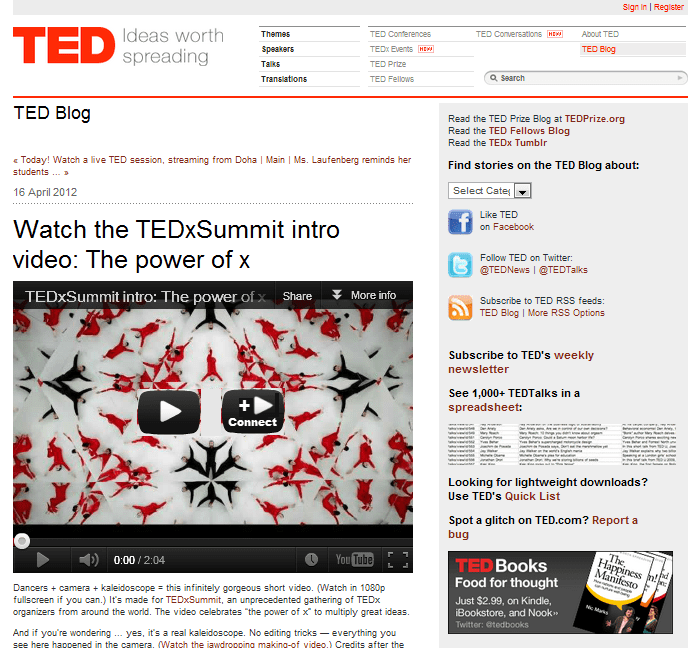 We hold these TEDx events all over the world, so I’d say we’re pretty good at sharing. The TEDx Action Team is working on some “recipes” for making action easier (and I’ve written about my own idea for Turning Ideas into Action). 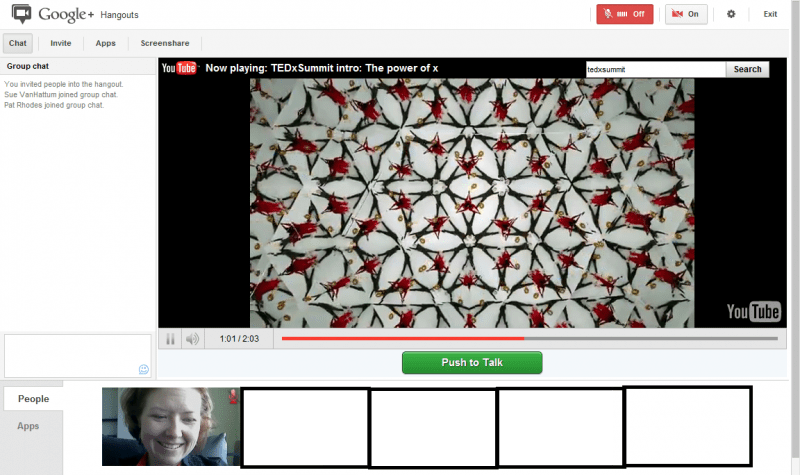 So, I’d say that the next thing to do is recreate the awesome “liquid network” that we experienced at the TEDxSummit on a year-round basis – to find a way to cultivate connections of people around ideas. 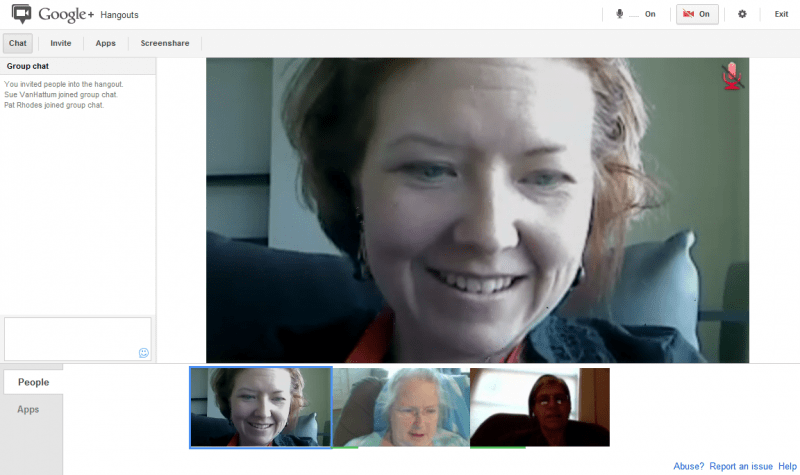 When you click on “Connect” you get placed in a waiting area in Google Hangout. 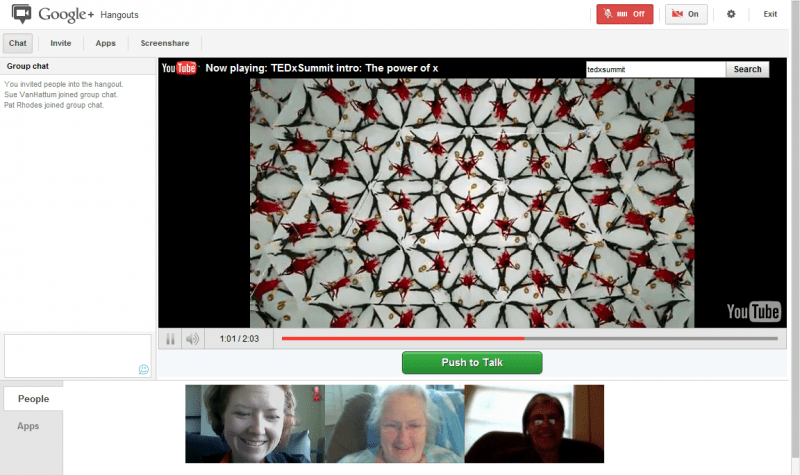 Once a few others from the queue get added to your “Hangout” the video begins. Viewing as a group means you can see the reactions of others and make comments as you watch. And when the video is over, you can have a conversation about it with those other viewers from all over the world. As our conversations around ideas begin to include those people with very different perspectives, maybe we’ll all learn to respect and value the beliefs, cultures, and values of others. Well, I can imagine it, I wonder if someone at TED can build it?